Our water heaters for industrial use lets you save thousands in electricity bill. Huge capacity, hot water through out the year, quality assurance and excellent after sales service. Yasholaxmi construction Ltd.formed by Mr Rajendra Babulal Malu, our founder Director, began with the goal of bringing renewable and non-polluting power to homes and business houses in INDIA and around the world. We have started with the vision to steadily expand together with technical advances and rapid growth of the renewable energy industry. We at renewgreen take pride in advising and implementing exact solutions to our customers. Our Industrial Solar Water Heater has helped clients to solve their problem of heating water and has reduced their electricity spend. And our technical expertise, quality assurance, and excellent after sales service has proven their decision, to implement Renewgreen's Industrial Water Heater, to be right. Our restaurant has large footfall. We were spending lot on electricity, to heat water. 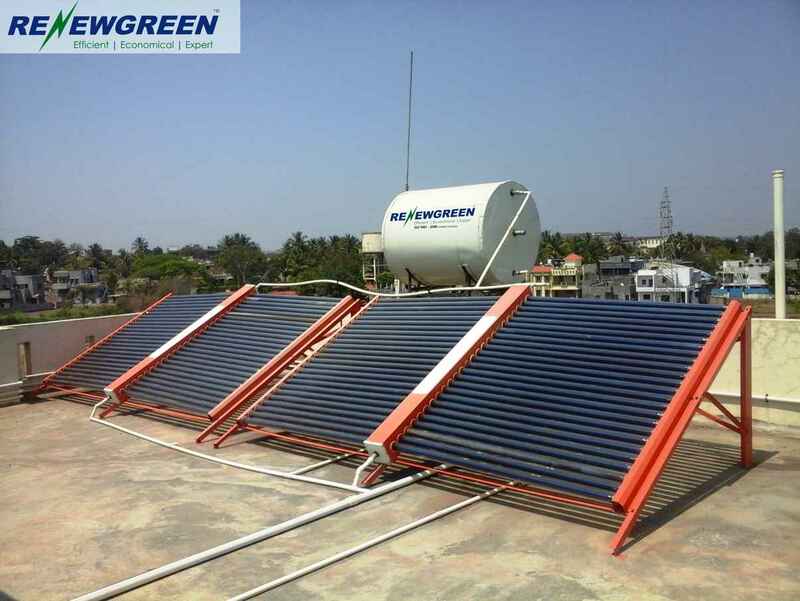 To solve this we decided to install industrial solar water heater & Renewgreen was our best choice. We were unsure how would the water heater work for 365 days. But, the kind of service, solutions provided by Renewgreen Energy made us worry free and assured about hot water throughout the year. Industrial water heaters are the best to cut down your electricity spend. And Renewgreen has done the great job. We are happy with their installation and after sales service.